Planting rice on our Yolo County rice farm in May of 2017! Farming is a generational family tradition. 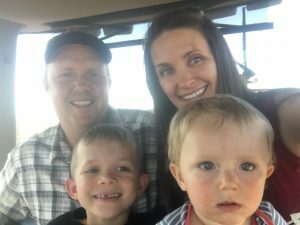 Pictured here are Ward & Stephanie Charter (5th Generation California Farmers) and Coleman & Wayne (6th Generation California Farmers) Although the technology has changed tremendously over the past 100 years, the love of the land and growing crops has not. We are so blessed to be a small part of what feeds the world!